Taipan, Millennium Seoul Hilton's Chinese restaurant, is pleased to announce that the 13th Imperial Feast will take place on Thursday, July 6. This widely anticipated feast starts off with a cocktail reception at 6:30 p.m. and is followed by nine of the most mouthwatering dishes, all specially created by our talented chefs. This dazzling nine-course dinner will include the finest wines and Chinese liquors, chosen to complement each dish. In addition, traditional Chinese musicians will perform, enriching the ambience of this epicurean evening. Priced at KW123,000++ per person, these dinners are immensely popular, so we kindly advise you to please make your reservations well in advance to avoid disappointment. The 13th Imperial Feast will celebrate the great cultural hero, the Yellow Emperor, who is credited as being the progenitor of all Han Chinese and the inventor of the Chinese calendar. Using dragon imagery (the symbol of the Yellow Emperor) and yellow/gold colors, this regal banquet will serve up an evening of exquisite culinary delights. 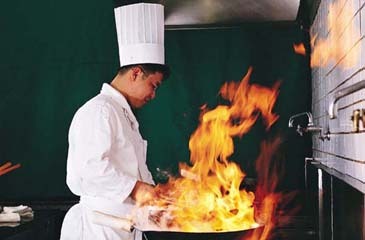 Taipan is renowned for its innovative cuisine that showcases the complex flavors of China. A talented team of expert chefs bring a taste of China to the Millennium Seoul Hilton by preparing an extensive a la carte selection including seasonal delicacies. Taipan is set in a modern and elegant environment, and has private dining rooms that exemplify bright and undisturbed surroundings.